After a Christmas break, we're back this week with some PC sales charts, outlining some of the big sellers (or at least big revenue earners) of the new year period. 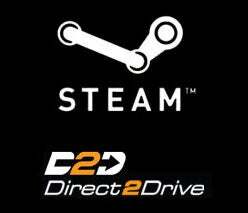 Since both Steam and Direct2Drive had big sales on over the holiday season, these charts are all screwy. But screwy in a good way! Great seeing games like Borderlands, Mass Effect and Torchlight stick it to the bigger December titles.